nox's lifestream: Rojan and Me. 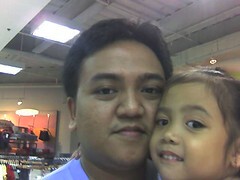 To be hugged and kissed, to hear her sweet voice say "I love you Dad! ", PRICELESS... Life is good. There still is hope. Am the happiest father in the world!